What does your choice of Glasslab glass desk say about your personality? The Kalon desk is the sleek, smooth desk in our range. If this is your first choice of desk, it’s likely you’re a very straightforward person – no messing around, just straight down to business in an efficient style. Talking of style, you’ve got it! You dress sharp, and when it gets down to it, you’re as smooth as the glass desk itself. Everyone likes working with a straightforward businessperson – no jargon or alienating terms. You welcome clients and colleagues with open arms, explain things quickly in an understandable way, and get the job done. You deserve a pay rise! If you’re choosing the Divri desk, it’s likely you’re very similar to a Kalon desk person, but there’s something a bit different from you. The Divri and Kalon desks are very similar, apart from the slight inward curve the Divri has on one side, and a parallel outward curve on the other. This curve represents the other side of your life – yes, you’re great at business, you’re a smooth operator and you have some sharp style, but when the clock hits five on Friday, you let your hair down for a wild weekend. You know how to party, and you’ve got the work/social life balance down to a tee. 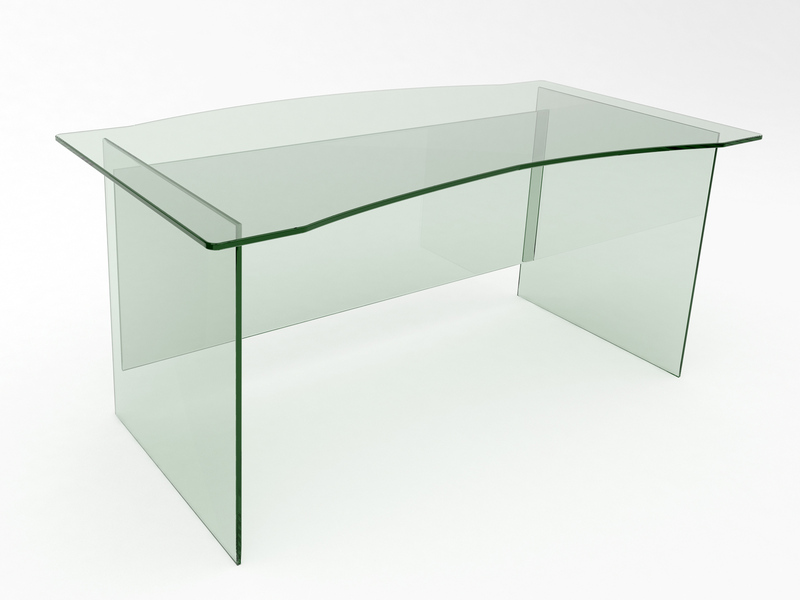 The Athos desk is one of the most unique designs in our range, with a great kidney-shaped curved surface resting atop the three support panes of glass. If this is your choice of desk, it’s clear that you like to do things differently. You like to stand out, and you do this with some great business ideas. You think outside of the box and come up with strategies that are completely different to those of your colleagues, but are just as successful, if not more. Every business needs an Athos desk sort of person – bright, different and special. Obviously, don’t take this too seriously… This was all for fun, and the reading of your glass desk was probably about as accurate as a reading of your palms. Even if you don’t match the descriptions, we’re sure you and your new desk will get along perfectly. All of the glass desks are made at our workshops in Rochdale, UK, with high quality toughened glass, made to the relevant British standards. 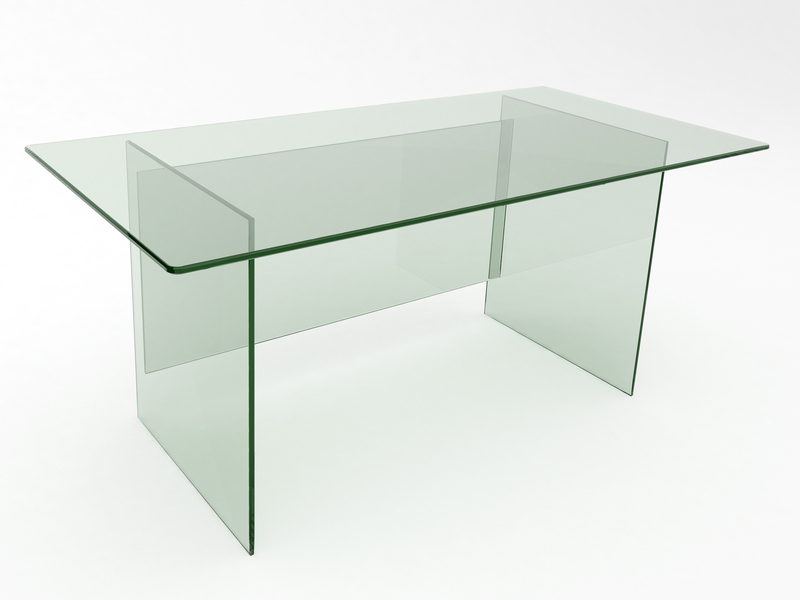 Every desk is made with 15mm clear glass, and can be made to whatever size you require as part of our bespoke service. You can also use our bespoke service to make your furnishing dreams come true – if you have your own design of glass furniture in mind, let us know and we can make it a reality! We can also make desks and tables with other bases such as concrete, steel girders and driftwood – all done in previous projects. 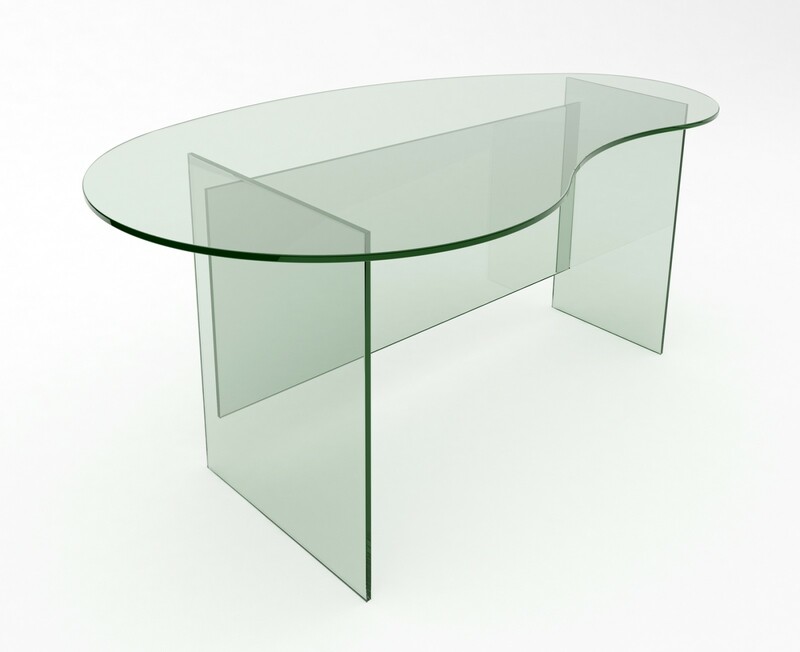 If you’re interested in one of our pieces of furniture, you can contact us now using this form, or by emailing us at info@glasslab.co.uk or giving us a call on 01706 341 122. Get in touch now for a non-obligation quote, and take a step closer to getting a beautifully furnished, stunning, modern office environment.